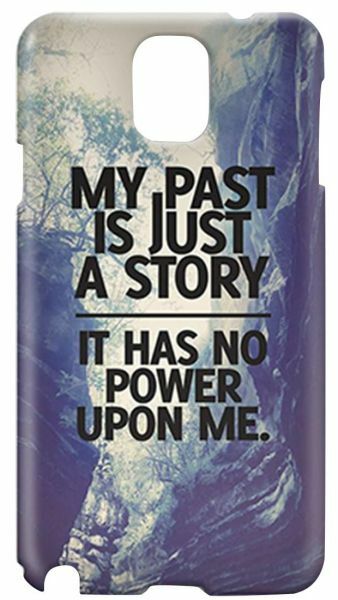 Loud Universe Samsung Galaxy Note 3 3D Wrap Around My Past is Just A Story Print Cover is available in a sleek matte finish with a soft texture and sophisticated look. The design is wrapped around the case not just on top giving your case a finished professional look. Extra slim light weight profile offers full protection and durability. Advanced 3D sublimation heat press printing technology gives bright vibrant colors and safe guards case from scratching and fading. Each case is custom fit to your phone with a play through design allowing easy access to charge ports, keys and other device features.